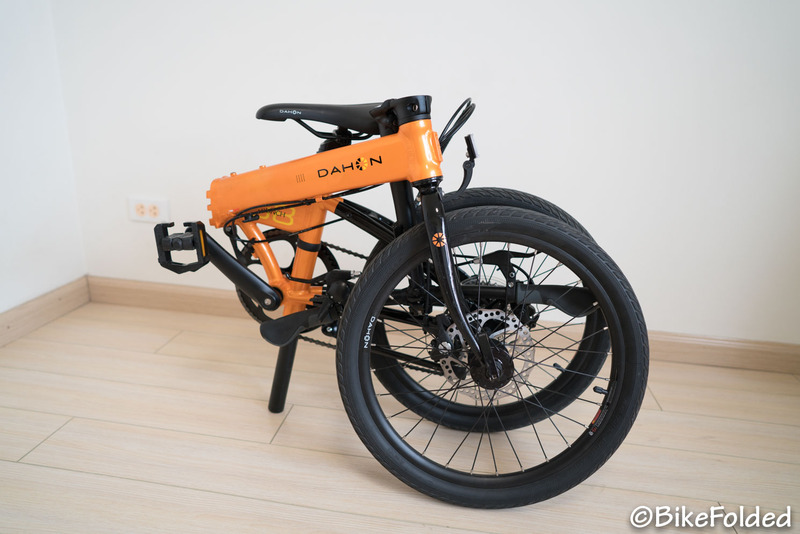 Dahon seems to lose its track in the last few years. 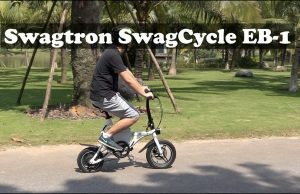 I tested some of their recent bikes like the Curl or NuWave but they all are disappointments. 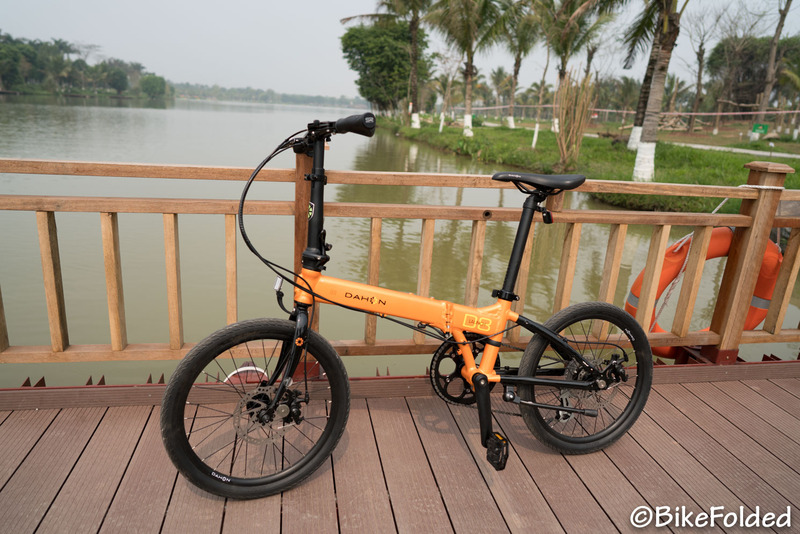 I looked for something better and when I heard about the new Dahon Launch D8, I was excited to give it a try. My first impressions with the Launch D8 were really good as it doesn’t look as bulky as I imagined. It is still a heavy folder at over 27 lbs although it doesn’t have any accessory like mudguards or rear rack. Having said that, the weight and size are still manageable, so I have no problem carrying it with one hand. 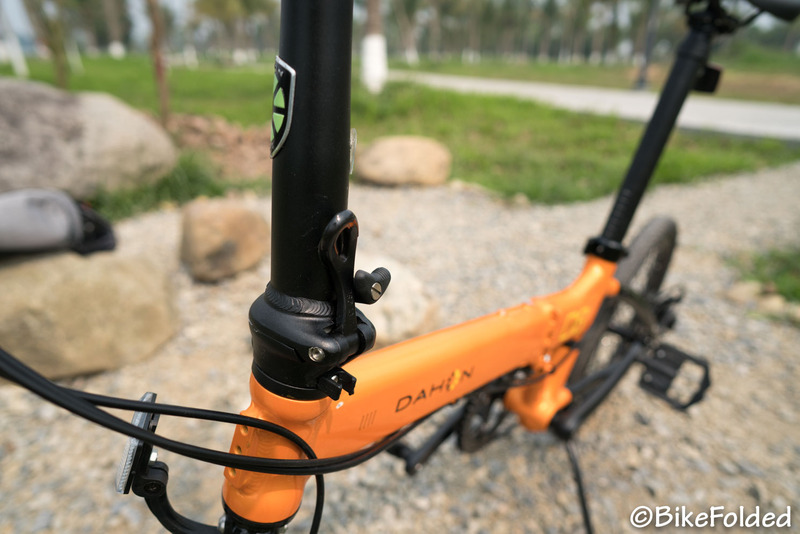 This Dahon features a new frame hinge called Jaws hinge. 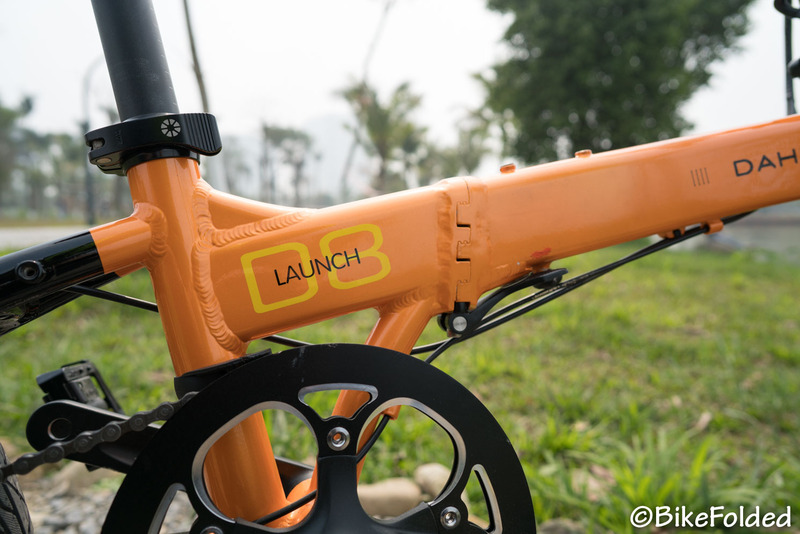 This is the next evolution of Dahon’s LockJaw hinge which was featured on some previous bikes. 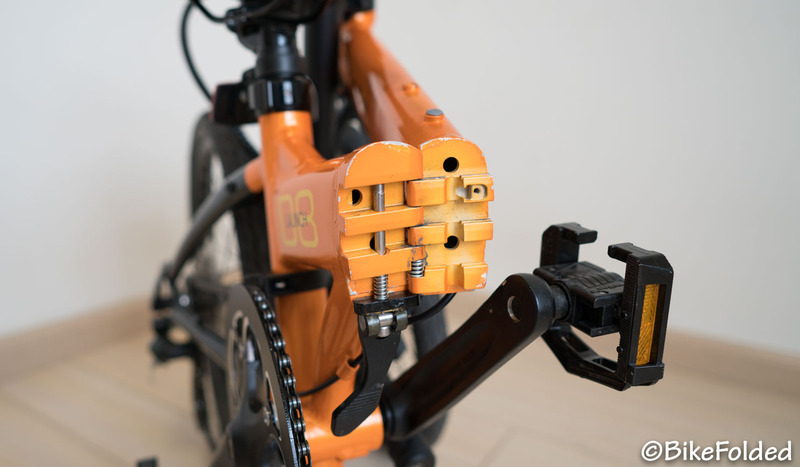 The new Jaws hinge makes the frame really sturdy with teeth lock and it also makes the design more attractive as there is no ugly clamp and latch on the frame. 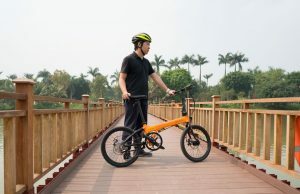 I feel that the frame is stiffer as compared to other folding bikes and therefore, it can minimize frame flex effectively and maximize pedaling efficiency. The folding latch is hidden under the main tube and you will get used to it in no time. The only problem I have is that some cables are also running under the frame, so they could get in the way and prevent me from closing the latch completely. Therefore, you should check the cables carefully before riding. When I received the bicycle, there were some scratches here and there, mostly on the handlebar and main tube. 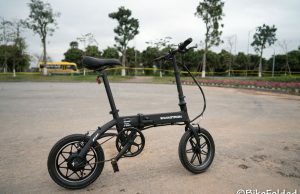 They are caused by the folding mechanism of the bike. 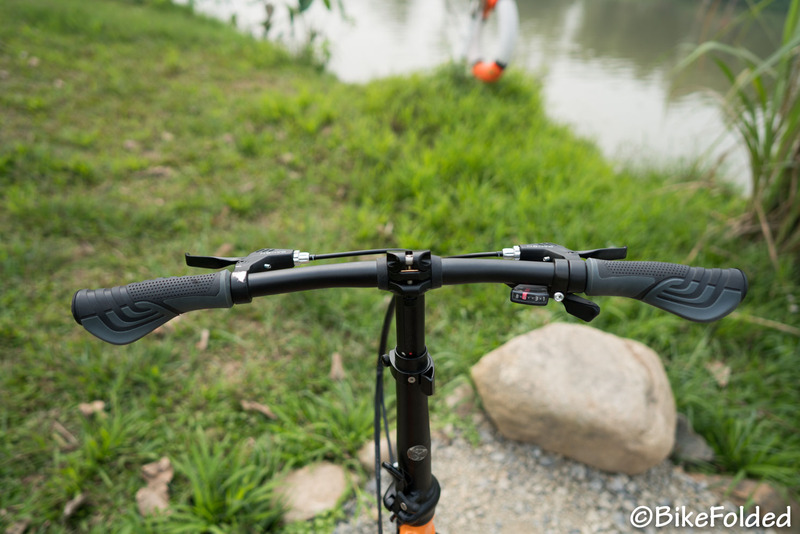 When you fold the bike, the handlebar will stay between the two wheels and it can easily hit the front fork. You also shouldn’t turn the pedals in the folded position because they could collide with the main tube as well. 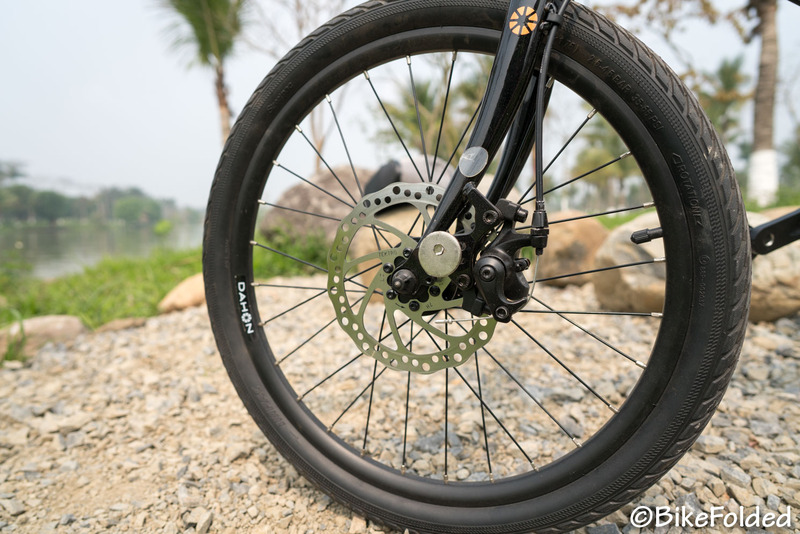 Another problem is that the magnetic pieces that hold the two wheels together are not really strong, so sometimes the two wheels could fall apart when you carry the bike. 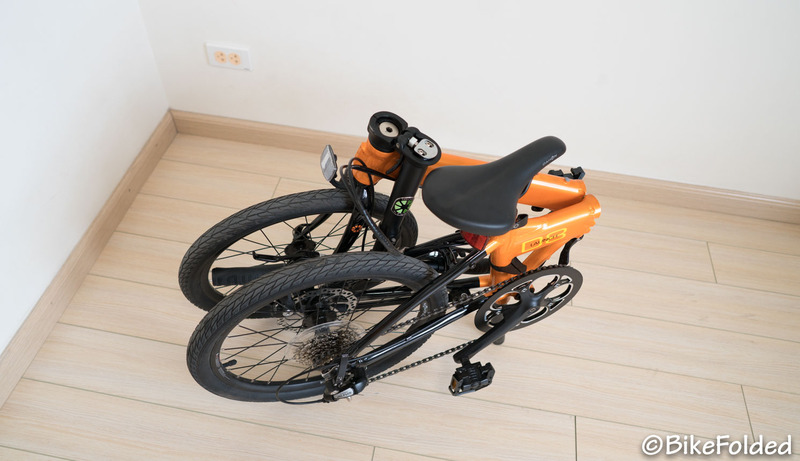 The design also doesn’t allow us to roll the bike when it is folded. 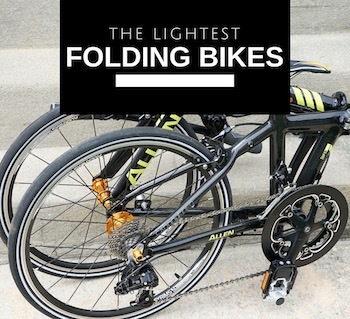 Obviously, there are some limitations in the folding mechanism, however, it should work alright if you are a little more careful when handling the bike. 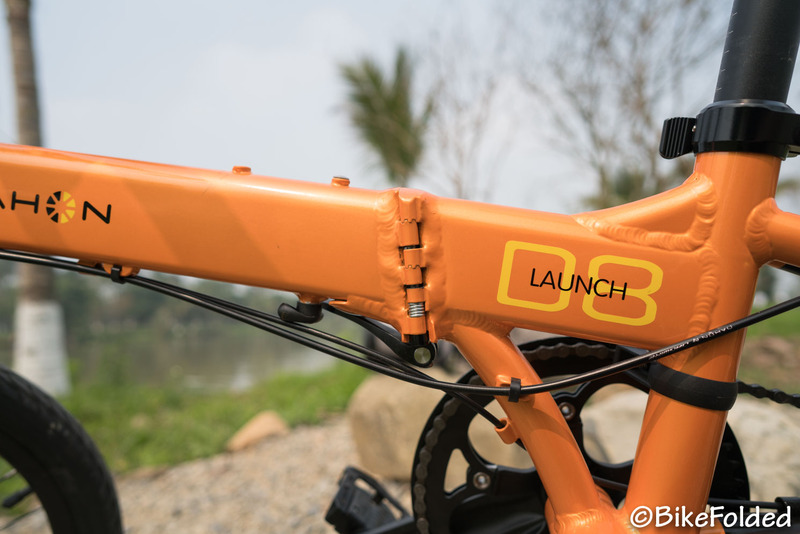 The derailleur hanger of the Launch D8 was slightly bent during transportation and it made gear shifting not work properly. Fortunately, it could be easily fixed by bending it back. 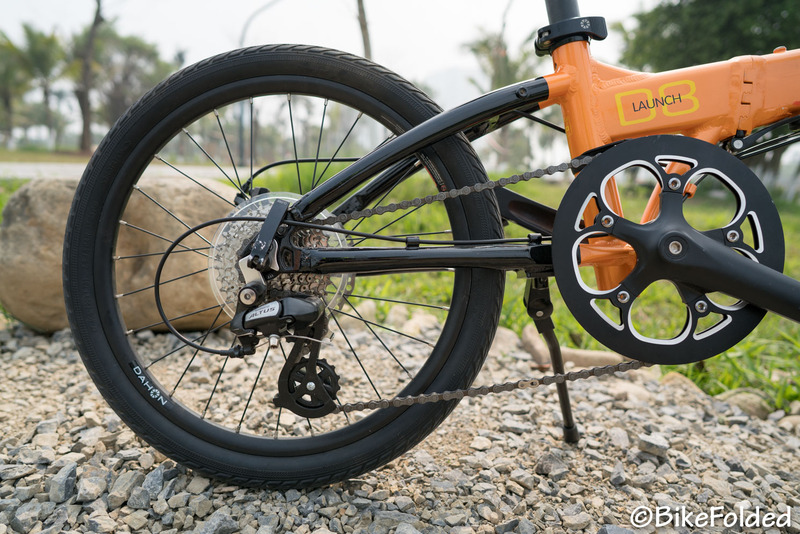 Afterwards, shifting gears is so smooth with the SHIMANO SL-M310 trigger shifter with a visual speed indicator and Shimano Altus 8-speed rear derailleur. The gear range is wide enough to get me climb up some short hills as well as reach fairly good speeds on even roads. 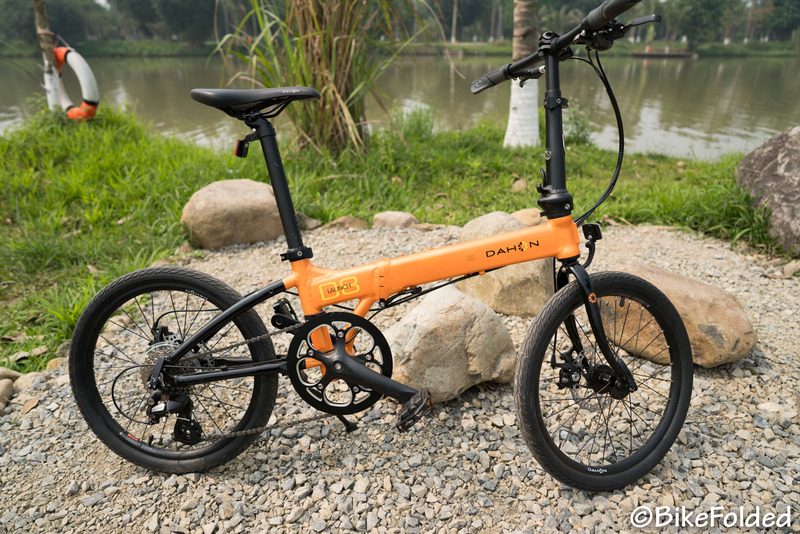 There is nothing to complain about the riding performance of the Launch D8 as it rides just like a regular non-folding bike. The frame is so sturdy and rigid and I feel it could last a very long time. 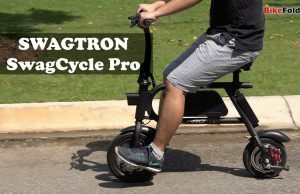 There are just a few disadvantages in the folding mechanism but if you could live with them, you won’t be disappointed with this bike. 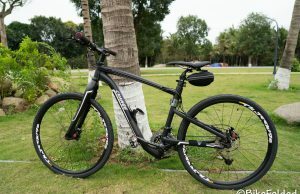 It is an excellent option for riding on flat and busy streets. 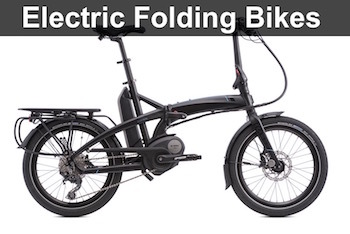 We at BikeFolded.com highly recommend the Dahon folding bike. 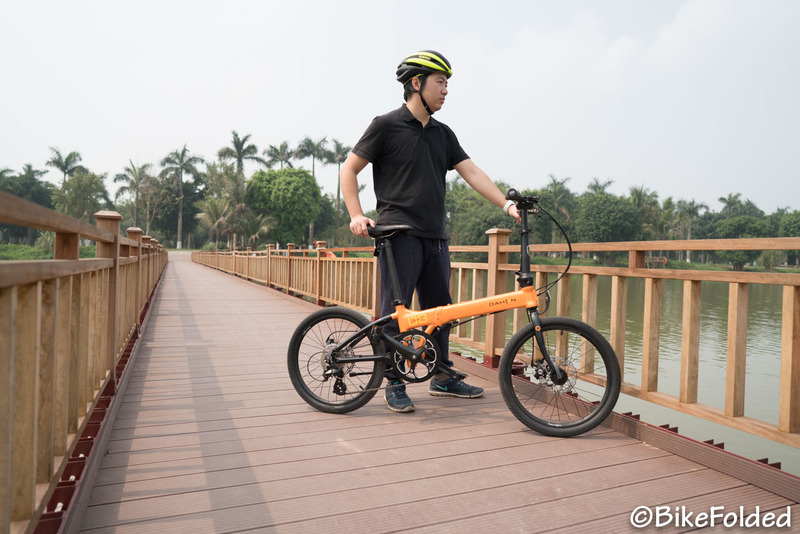 A high-performing commuter folding bike.